WCD speaks with Professor Gael McDonald, President of RMIT Vietnam, the Asian hub of Melbourne-based University to find out about what they are doing to shape the world. What do you do as an organisation? RMIT University is a global university of technology, design and enterprise in which teaching, research and engagement are central to achieving positive impact and creating life-changing experiences for our students. RMIT’s headquarters is in Melbourne, Australia, with branch campuses in Vietnam and Spain. RMIT embraces the task of extending the benefits of a fast-innovating, high-skill knowledge economy to our whole community and our world. We are dedicated to helping shape a new urban and industrial renaissance in the global economy. We are driven by impact and focused on the challenges and opportunities emerging around us. RMIT Vietnam was established in 2001 following the invitation of the Vietnamese government to have the first international university in Vietnam. 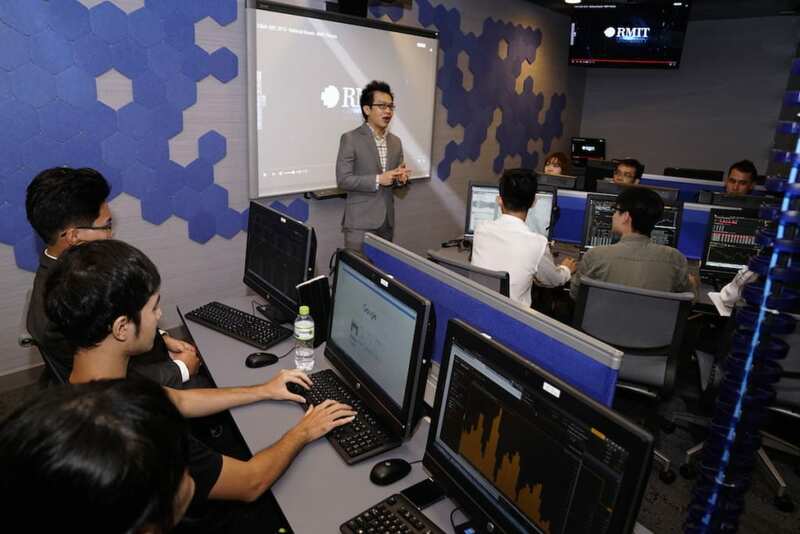 RMIT Vietnam educates students at a tertiary level so they are equipped to gain meaningful employment, contribute to the future of their countries and potentially be leaders in their chosen fields. What we’re really about at RMIT Vietnam is creating an environment where young people can fulfil their potential to be the best they can be in their chosen careers. What is your purpose as an organisation and why is it important? Transforming the life experience of our students by graduating them ready for life and work: To achieve this, our teaching must inspire students and empower them with attributes that will be valued in our changing economy. Uniting passion and purpose: Our aim is to support and empower our people with clearer, smarter and simpler systems that deepen our culture of teamwork and collaboration. Shaping the world through our teaching and research: RMIT is ranked among the top 15 Australian universities in the 2015-16 QS World University Rankings, and is 21st among QS’s top 50 universities under 50 years old in the world. With the aim to have graduates who are ready for life and work, we’ve placed the students at the centre of the RMIT experience – we want our students to have global, meaningful and innovative experiences throughout their time at the University, and beyond, embracing real connection with industry and communities globally. Through educating our students academically and personally, RMIT Vietnam aims to contribute meaningfully to the future of Asia in general and Vietnam in particular. 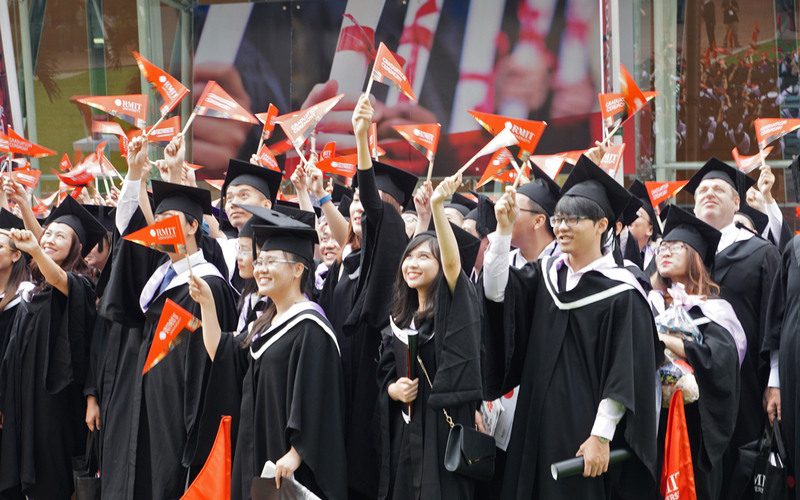 Since the first graduates in 2004, RMIT Vietnam has contributed nearly 10,000 graduates who are highly skilled and work-ready. At RMIT Vietnam, we go beyond teaching technical and professional skills. We help students to critically think for themselves – to solve problems, to be creative and develop themselves personally. The success of this approach is one of the major reasons why our graduates are so highly sought-after by employers in Vietnam, and around the world. Research in areas such as education, the environment, childhood poverty and economic reform are making an impact on Vietnamese society and life. Could you give an example of how a product or a service provided by you is making an impact in shaping a better world? Over the past 15 years, RMIT Vietnam has awarded 800 scholarships worth more than 170 billion VND to young people from all over Vietnam and around the world – young people who exemplify the kinds of characteristics that RMIT Vietnam prides itself on. 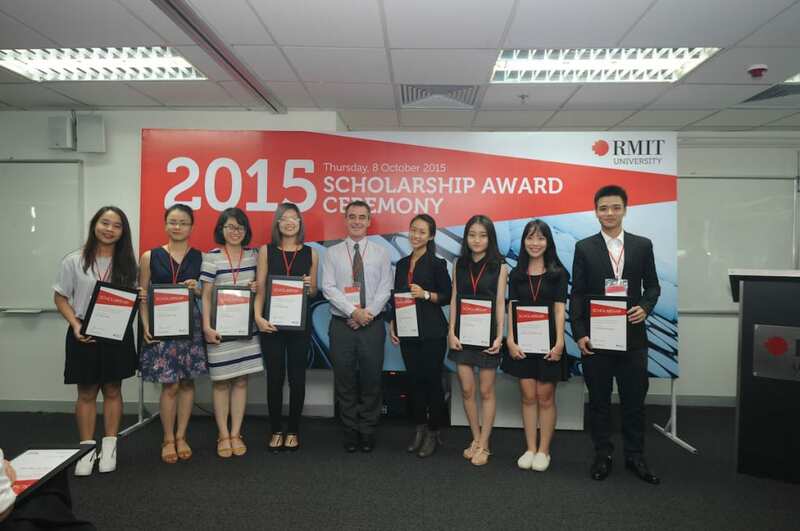 In 2016, RMIT Vietnam is awarding scholarships valued at $1.4m, not only targeting academically excellent students but those disadvantaged by physical, financial or geographic circumstances. We also award scholarships to encourage women to be part of the male-dominated industries such as engineering, and to help women in business take leadership roles. In April 2016, RMIT Vietnam introduced RMIT Access – a new initiative that will ensure learning materials are presented in formats that are accessible to everyone. With this new program, the University is transitioning to the use of enhanced digitally inclusive learning resources. RMIT Access will benefit students whether or not they have been formally assessed with a learning difference. With the annual scholarship program and RMIT Access, we confirm our commitment to the continued delivery of a distinctive form of connected education that supports access, progression and pathways for students from all backgrounds, experience and cultures. Share an example of how you are working with suppliers and partners to improve the state of the industry or the world? The KPMG – RMIT Centre of Governance was launched in late 2014 to enable KPMG and RMIT to work together and to cooperate with stakeholders to improve governance capabilities and capacity in Vietnam. The Centre aims to develop and disseminate industry-focused thought leadership in the governance field especially through publishing joint research, encouraging dialogue and debate at networking events, as well as leveraging the capabilities and knowledge of KPMG’s international network of member firms and of RMIT’s academic faculty and students. The Centre will work with and support government agencies involved in governance matters, regulatory agencies, professional bodies, industry and subject matter experts, academics and others in the business and broader community interested in governance. RMIT is also proud to be working with the Vietnamese Government, industry and Vietnam higher education institutions to build capacity, drive quality and innovate. One of the recent examples is the establishment of the Centre of Digital Excellence (CODE), which is a collaborative venture underpinned by imagination, inclusion and impact. CODE will host a series of free public lectures by internationally renowned scholars in the field of Digital Teaching and Learning. 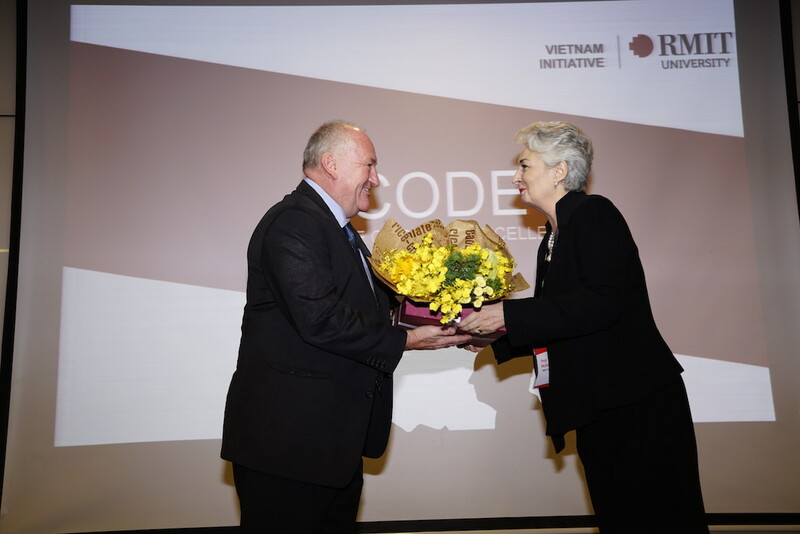 In addition to the public lecture series, CODE will be opening a number of digital teaching and learning professional development qualifications to Vietnamese educators. Other professional development and digital best practice sharing events will also be hosted by CODE in 2016. Some of these will focus on digital inclusion, and RMIT Vietnam will share practical skills with other educational institutions related to making curriculum accessible for students with learning differences and disabilities. It is our vision that CODE will be a true partnership between RMIT Vietnam and other universities, educational institutions and educational technology providers around the country. Tell us a special moment when a student gave you a feedback that helped you understand the difference that you are making for them and for a better world. We have spoken to some of our students who were scholarship holders straight out of high school when they came to this university. They have told us about their most significant experiences at RMIT Vietnam and what they gained from those experiences. From what they’ve said I think what they obtained falls into two categories. Firstly they spoke about the skills they gained. Tu spoke about sharpening his business skills, and learning to work in a team of people with different expertise. Dang Nghinh Xuan, who studied on our Hanoi campus, had a different observation. She spoke about her extracurricular activities while at RMIT University on a student team and running a magazine, Current Media. “I decided to stand up despite the fact that I was afraid of speaking in front of people. But I tried – and together with my team I put out my greatest effort for the magazine to survive and develop,” said Xuan. What did Xuan learn? She learnt about magazine designing and more than that, she learnt about teamwork and leadership. But more importantly, she learnt “to dare to dream, the ability to stay positive and see challenges as opportunities. And patience.” Xuan learned to lead in a situation where she knew she and her team could easily fail – and at the end they successfully made the magazine flourished. Another scholarship holder gained the inspiration to use his leadership abilities to help others. Nguyen Vinh Bao, a Bachelor of Commerce student in Hanoi, was chosen to go to the University Scholarship Symposium in Hong Kong in 2015. There he met prominent global change-makers and other young international leaders at his age. He also learnt more about humanitarian issues around the world. “From that experience, I have been motivated a lot to better myself day after day and contribute more to my community,” said Bao. These are only a few of examples that show the valuable experience that RMIT Vietnam is providing to its students. They are also the source of inspiration for us to keep trying our best to make a difference to our students’ life and to contribute to the development of Vietnam. What does your organisation believe in and why? We believe in the power of education which can bring positive changes to the society. We see education as a transformative experience. We are happy to be part of a global movement of companies who are striving to do the work that will bring about sustainable good and make a difference. This is a way for RMIT Vietnam to connect with companies in Vietnam which share the same purpose and to share experiences amongst other companies aspiring to achieve excellence in Vietnam. At RMIT, we always value the strong relationship with industries to ensure our programs are up-to-date and our graduates possess the quality and skills that the industries are looking for. At the end of the day, how do you know if your organisation has contributed towards shaping a better world? The achievement of 15 years of successful growth and development in Vietnam is laying the groundwork for a successful ongoing contribution by RMIT to Vietnam’s efforts to modernise and internationalise its economy and build new prosperity and opportunities for its people. The new knowledge, skills and expertise of our graduates are welcomed for industry, business and government. RMIT Vietnam also takes pride in the fact that it has established strong relationships with community-based organisations to ensure that the benefit of RMIT’s presence in Vietnam extends beyond its own students and their families. Students are actively encouraged to become involved in volunteer work and to engage in projects of various kinds which boost community self-reliance and address serious issues such as helping disadvantaged people and generating health awareness and environmental stewardship.